For more than 15 years, ARRT's many volunteers have been instrumental in keeping the project moving forward. This gallery shows just a few of the trail walks, cleanups and public presentations we have organized. Clicking on each thumbnail will display the larger picture. March 2011: Maynard volunteer Bob Brooks sent us this photo of the Track Road ROW. 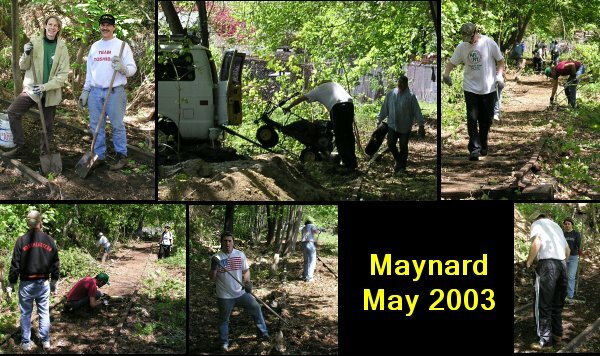 November 2010: The annual Maynard town cleanup day brought out 10 ARRT volunteers to cleanup the northern Maynard section of the ROW. January 2008: ARRT volunteer David Mark took this photograph of the Maynard ROW after a big snowstorm. Although the Maynard section won't be finished until 2014, all of it is walkable path. 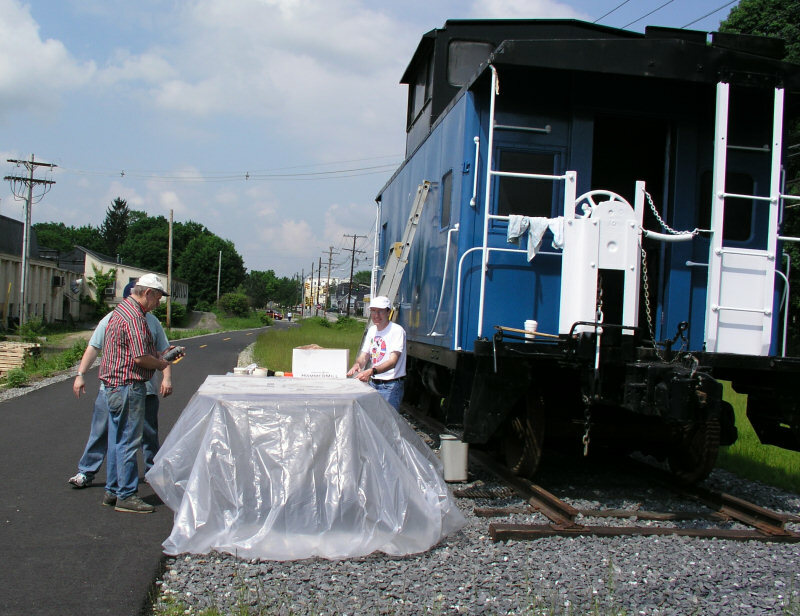 September 2007: ARRT volunteers and the Hudson DPW have started to install a 1906 RR switch next to the Hudson caboose. 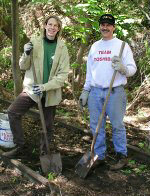 April 14, 2007: ARRT volunteers lead a trail walk and litter pickup event along the portion of the rail trail running from downtown Maynard north towards Acton. 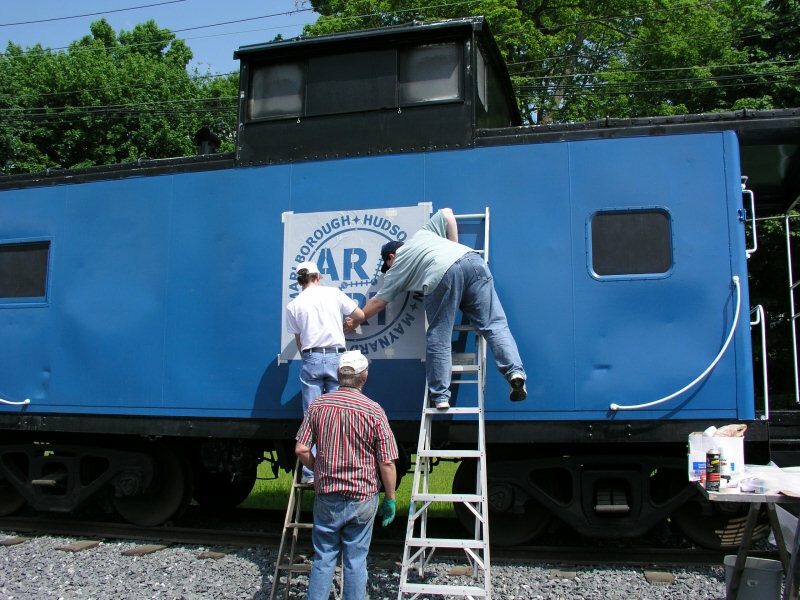 September 16, 2006: Painting the 2nd ARRT logo on the Hudson caboose. 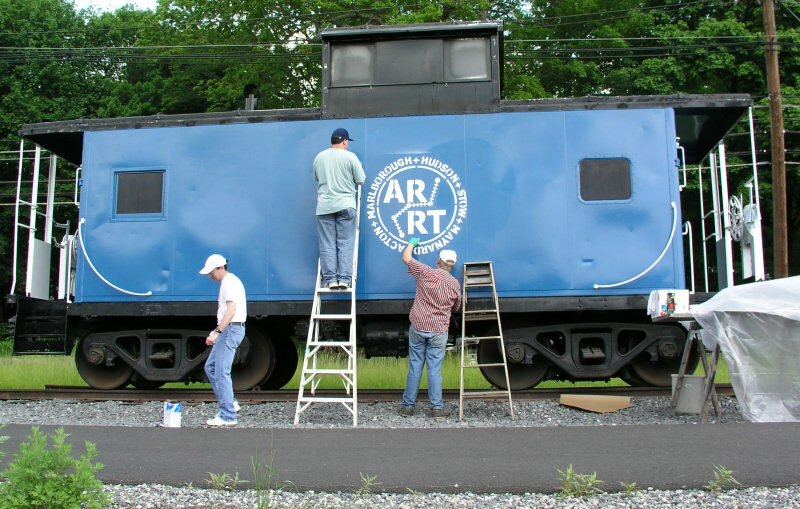 May 27, 2006: Painting the ARRT logo on the Hudson caboose. 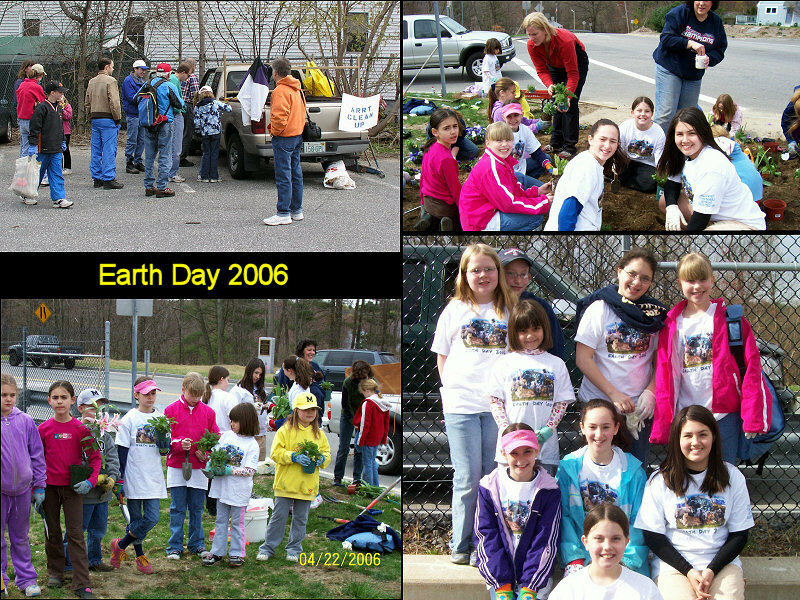 April 22, 2006: Marlborough Earth Day. 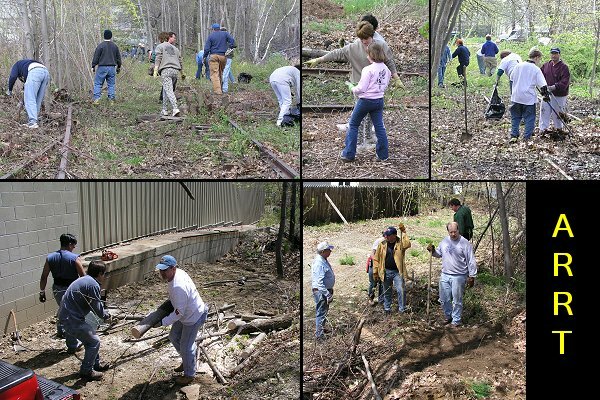 ARRT sponsored the annual spring cleanup of the finished trail. Girl Scouts from troops 7034, 7034 and 2815 planted a new flower bed at the trail crossing of Fitchburg Street. 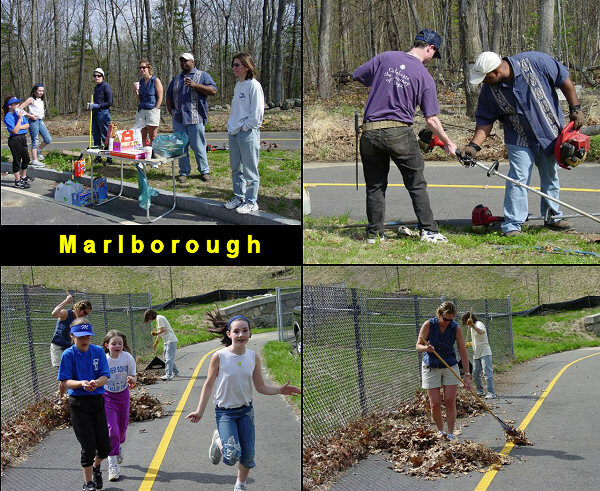 May 2004 Marlborough cleanup. ARRT does an annual cleanup of the finished parts of the trail. Pictured here are John Prouty and Ed Tucker. 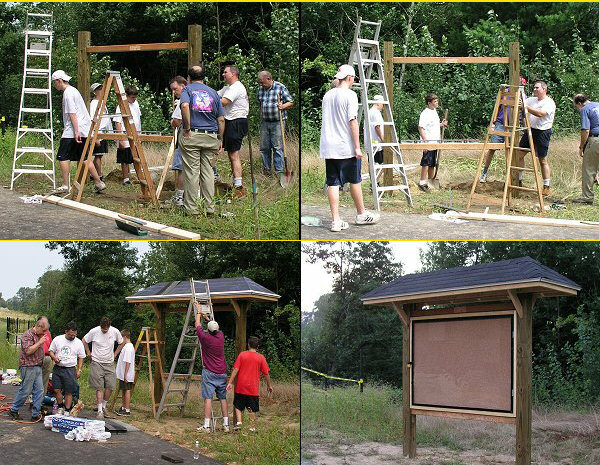 Building the first Intel kiosk, August 2003. May 2003 Marlborough Cleanup. Brian Baker and Brian Lazarra. 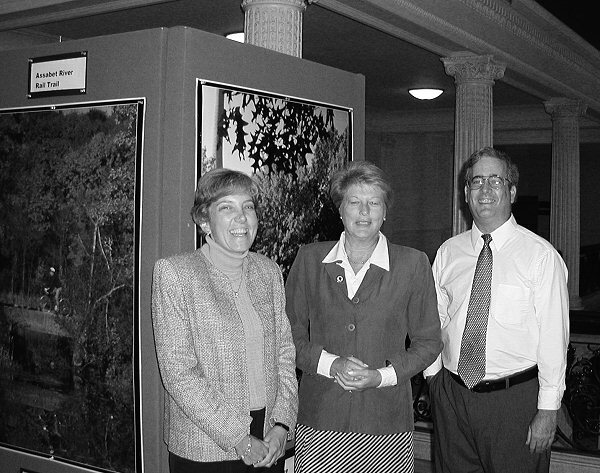 September 2001: Joey MacAloney, Representative Susan Pope and Tom Kelleher in front of the ARRT presentation in the Massachusetts State House Gallery. 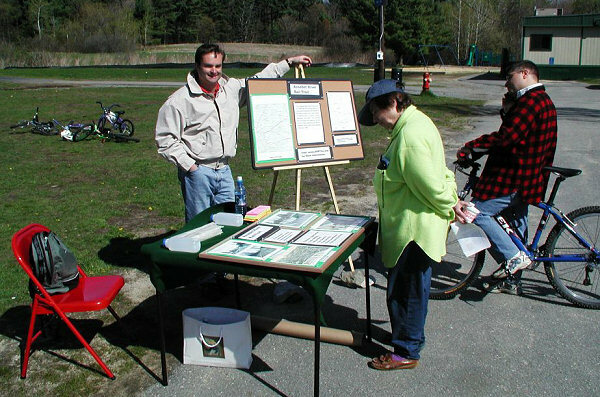 April 2001, Acton Earth Day trail walk. 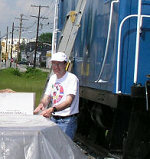 Volunteer Rainer Maas staffs the ARRT table at Acton Earth Day 2001. September 2000: Marlborough Labor Day parade. 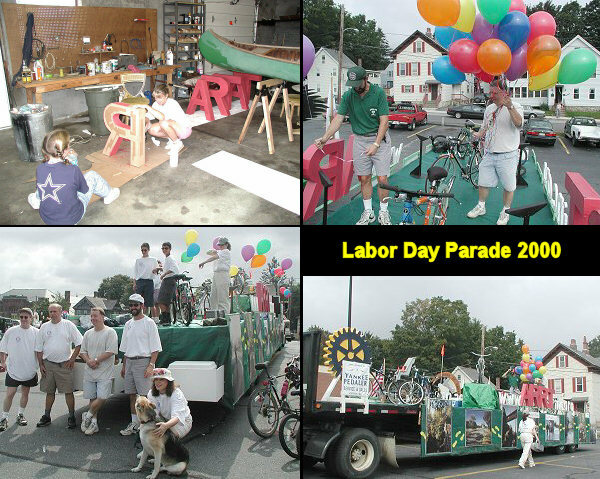 With the assistance of Space Age Electronics Inc., of Marlborough, we built an ARRT themed float for the annual Labor Day parade.